If you’ve been watching any financial news at all you’ve probably been feeling pretty nervous. Financial Pundits are saying that we’re in a buble or that we’re heading for a correction. Well if you remember the last time this happened in 2008 you probably recall that things slowed down a lot. From what I’ve been able to tell from practices is that the last recession really hurt their practices. I’m not saying we’re going into a recession, but I do think that there are things you can do to be prepared should any downturn happen. 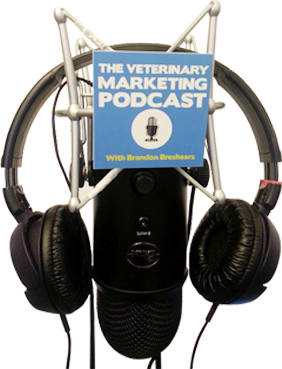 Whether you are a veterinary practice owner, or an employee at a veterinary practice, there are lots of things that you can do to help secure your veterinary practices’ marketing. Creating stability and making sure that you have the skills and resources in place is what is really important. So in this episode I go over the things you should focus on when the economy is good and then what to do when the economy is not so good. The main concepts that I think can really help your practice are growing and building when times are good like they have been for most practices. Many of the practices that I’ve spoken to have been enjoying 6-8% growth and while this is awesome it is important to take as much advantage of this market driven growth as possible. Make sure that you are building your email lists, that you are growing your social media audience and that you are connecting and establishing a relationship with your clients. 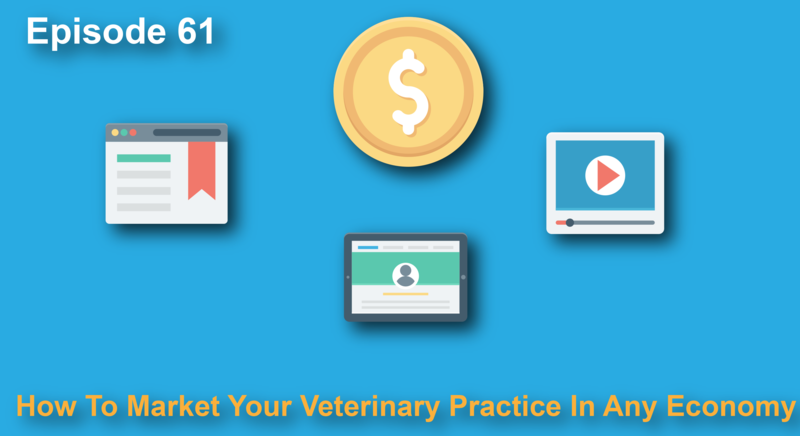 If the economy gets bad it is important to already have the marketing skills you would need to drive clients in to your practice. It is far better to have ads and marketing figured out now when times are good and you can afford to test than in the future when you don’t have funds coming in to supplement your marketing tests. I go into depth about things you can do when the economy isn’t so good as well. I’m definitely not an economist, but I think it is important to take notice of where the economy is heading so that you can create growth no matter what the economy does.